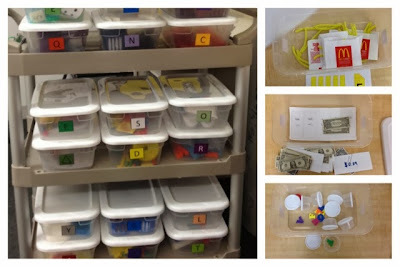 My work task station is one of my favorites in my classroom. Probably because it's main goal is independence and I love seeing my students working on their own. It makes me so proud! :) I have 31 boxes, labeled by letters A-Z and 5 different shapes. 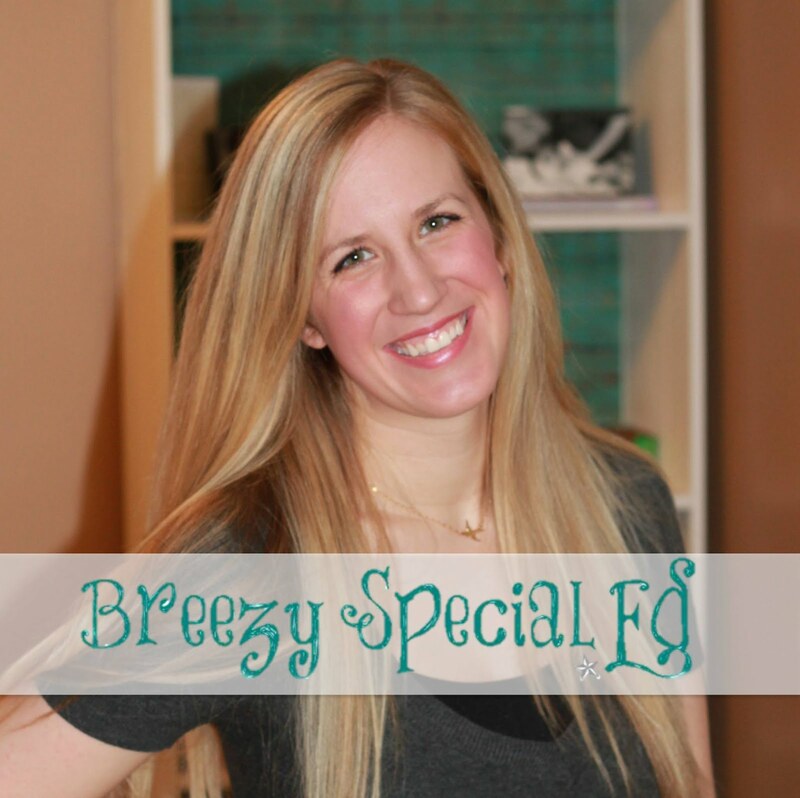 Since that is a LOT of boxes, I'm just going to share 5 this post and will probably share more of them later! So here's letters A-E (I have not put my letters in any order of difficulty or anything like that, so this is totally random). My kids have fun with this one just because it's McDonalds! 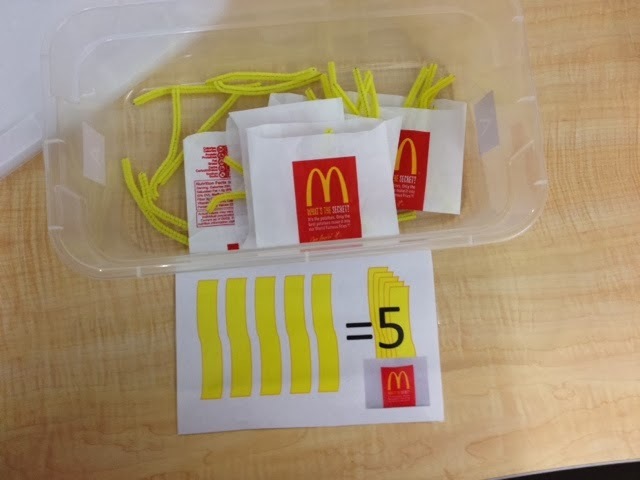 The visual helps students count out 5 fries (pipe cleaners) to put in each bag. Get this visual here. Or grab this pack with counting visuals for numbers 1-20 and materials to create your own work task like this one here! 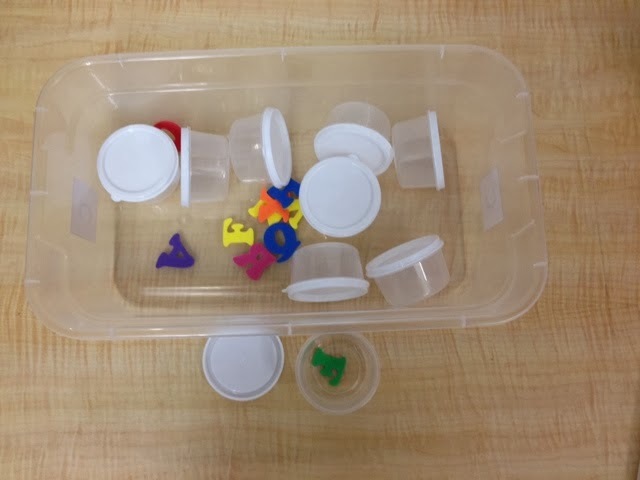 This one is a simple 1:1 correspondence activity - to put one object (in this case a foam letter) in each container. I have considered making this a matching activity by gluing a matching letter to each lid, but I needed to keep some of my boxes very simple. Speaking of simple, this one is just sticking the Popsicle stick into the wet ones container! This one is color matching and counting. 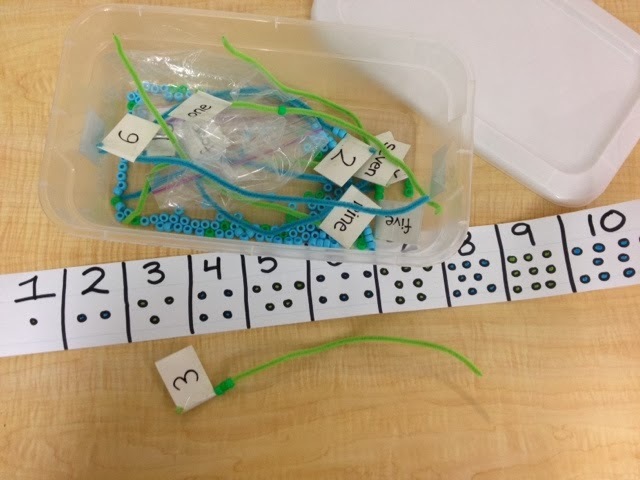 This one is challenging for many of my current students, but the visual helps and I often remove a majority of the numbers. 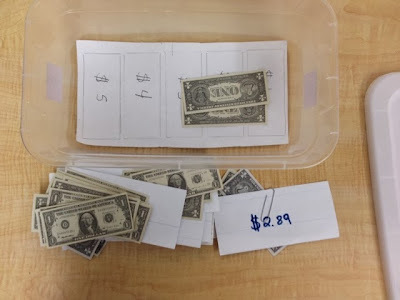 The materials I used to set up my work task station (labels, schedules, and data sheets) are for sale here in my TeachersPayTeachers store. Update: More work task posts can be found below. Love Mc Donald one going to implement this well thanks do much for sharing!!!! Hi, in regards to the McDonald's download that you shared, would you be able to make more of these with different numbers, like 1-15? Or, tell me how you made it so that I could make cards with other amounts of fries? Thanks! Wow! These are really good ideas! yes! 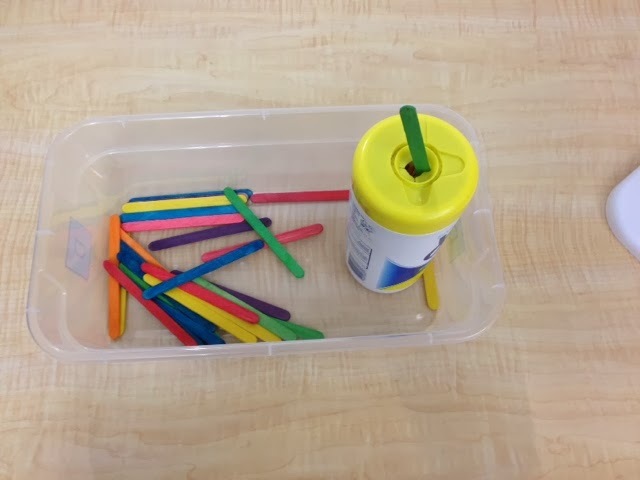 I worked this summer with my SLP to create tasks with Core 40 instructions. I agree. It's the heart of my classroom.